Hello and Happy Saturday! 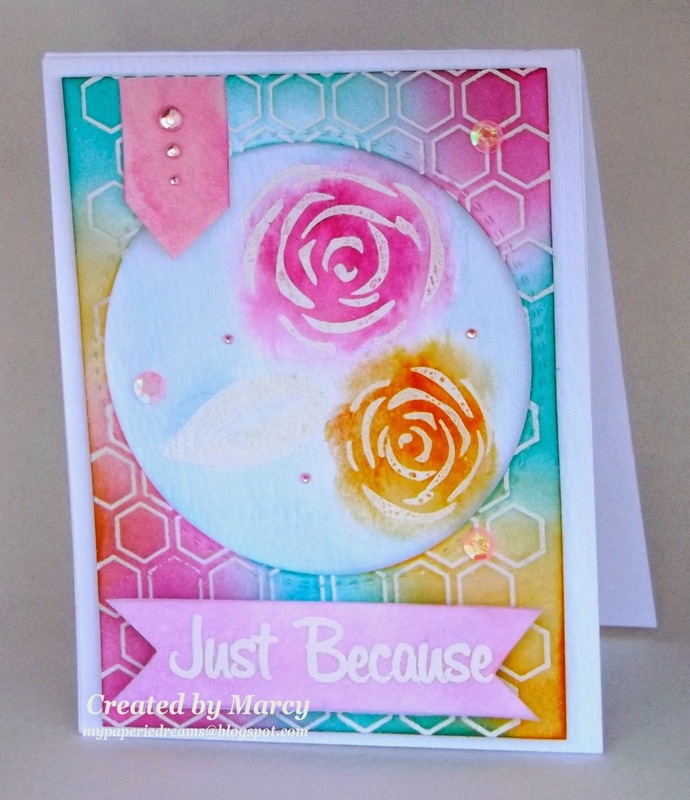 Marcy here to share a super fun card I made for today's inspiration! Today, I was feeling in the mood to take out my favorite distress inks to play a little. I used one of my favorite background stamps, embossed the image and then added my Tim Holtz distress inks for some vibrant color. I then sprayed some clear glimmer mist over my creation to give it the water color effect. For the roses, I did the same technique using this beautiful stamp set called "Contemporary Roses" from My Favorite Things. I'm definitely getting a lot of use out of this stamp set lately! It is just so perfect for mixed media and water coloring which I love to do! To finish off my card, I added some pink rhinestones and sequins from my stash. I really love how colorful this card looks and just loving the Tim Holtz distress inks which are so versatile to use! Have a wonderful Saturday and see all you next week!